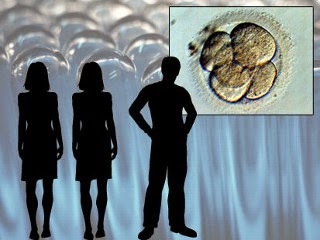 Scientists dismiss opposition to three-parent embryos as 'ignorant' - haven’t we been here before? Next Tuesday MPs in the House of Commons will be asked to vote to make Britain the first country in the world to offer controversial ‘three-parent’ fertility treatments to families who want to avoid passing on mitochondrial diseases to their children. This is final crunch time so it’s not surprising that the media is giving the debate high profile. Earlier this week forty scientists from 14 countries urged the British legislature to approve the new laws allowing mitochondrial DNA transfer. Yesterday the Anglican and Catholic Churches struck back criticising the move on grounds of ethics, efficacy and safety. Today the scientists have done their usual retreat at such moments and accused the churches of ‘ignorance’: ‘The objections are all religious, they just don’t understand the science’. But it’s precisely because the scientists have not effectively made their case that Christians with science backgrounds are raising objections. 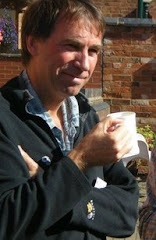 Over the last three years Christian Medical Fellowship – an organisation with over 4,500 British doctors as members – has published over 20 articles (see here and here) raising serious questions not just about the ethics, but also about whether these techniques are safe, workable or even necessary. We have also warned repeatedly about the dangers of these techniques crossing two scientific rubicons in allowing both germline alteration (generationally transmissible genetic modification) and also cell nuclear replacement. These warnings have gone unheeded. Most of the MPs who will be voting on Tuesday do not have scientific backgrounds and are not experts in ethics – and will be basing their votes on what they are being told by the scientific community. It is therefore understandable that scientists and affected families want research into these two related ‘three-parent embryo’ techniques (pronuclear transfer and maternal spindle transfer) to go ahead. But there are very good reasons for caution. Furthermore four big questions remain: Is it safe? This is far from established. Will it work? We remain deeply sceptical. Is it ethical? There are huge ethical questions. Is it even necessary? There are actually already alternative solutions available for affected couples including adoption and IVF egg donation. These technologies use similar ‘nuclear transfer’ techniques to those used in ‘therapeutic cloning’ for embryonic stem cells (which has thus far failed to deliver) and animal-human cytoplasmic hybrids (‘cybrids’). The wild claims made about the therapeutic properties of ‘cybrids’ by the biotechnology industry, research scientists, patient interest groups and science journalists back in 2008 duped parliament into legalising and licensing animal human hybrid research. Few now will remember Gordon Brown’s empty promises in the Guardian on 18 May that year of ‘cybrids’ offering 'a profound opportunity to save and transform millions of lives' and his commitment to this research as 'an inherently moral endeavour that can save and improve the lives of thousands and over time millions of people'. That measure was supported in a heavily whipped vote as part of the Human Fertilisation and Embryology Bill, now the HFE Act. But ‘cybrids’, as we predicted at the time, are now a farcical footnote in history. They have not worked and investors have voted with their feet. Ironically, it was in that same Act of Parliament, that provision for this new research was also made. And yet it was the same scientists using much the same arguments who were pushing it through then. Such a track record does not engender trust in their judgments, especially when one considers the deep ideological and financial vested interests involved. I have a profound sense of déjà vu here. History will of course prove who is right. 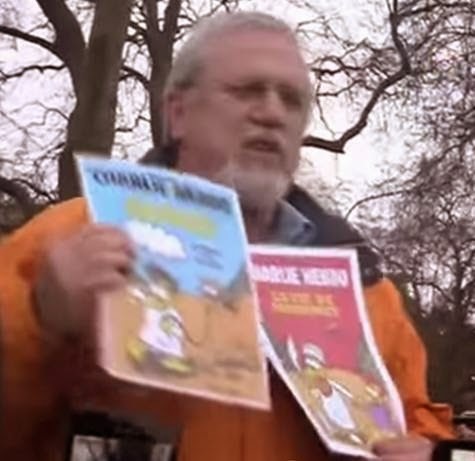 Following the attacks in Paris against the journal 'Charlie Hebdo' on 7 January 2015 Christian evangelist Jay Smith decided to display and discuss the controversial covers of the journal which provoked the violence. So on 11 January in the most public of settings, and that bastion of 'Freedom of Speech' - the world famous Speaker's Corner in London - he showed covers which mocked not only Muhammad, but Jesus Christ as well and asked the (many) Muslims in the crowd whether they were offended. One of these covers mocking Christianity is I think the most blasphemous illustration I have ever seen. Not surprisingly the Muslims in the crowd were offended, as Jay himself was, but he used the opportunity to make the point that whilst the covers were also grossly offensive to Christians, Christ’s own response to mockery and derision was not violence but rather to pray for his persecutors. The video is well worth viewing in its entirety – but I was particularly struck by the section in which Jay explains what he considers to be the real motivation behind the attack. 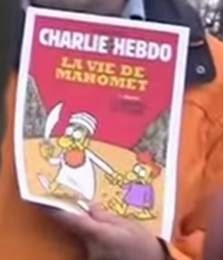 The real reason, he argues, was not the magazine covers per se, but rather a series of comic books on the life of Muhammad by Stephane Charbonnier, the editor of the Charlie Hebdo journal, who was killed on 7 January. 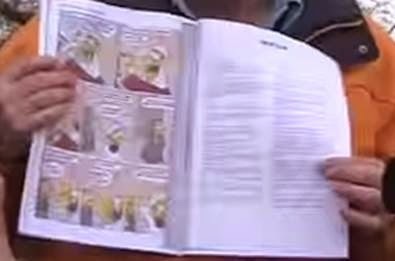 These comics are pictured on the video from 7m 40s and reproduced in the pictures on this blogpost.. Apparently these are no longer available to buy and are likely to become collectors’ items in the future. As Jay illustrates they are titled 'The Life of Mohammed' and depict episodes from the real life of Muhammad. What Charbonnier essentially did was to take the most 'juicy' stories from the Islamic traditions. In fact he claimed in January 2013 (see also numbered references below) that his work is 'a properly researched and educational worked prepared by an (unnamed) Franco-Tunisian sociologist'. It appears he used a variety of sources and may well have used Zakaria Botros as his inspiration. Botros is a Coptic priest from Egypt who is best known for his critiques of the Qur'an and other books of Islam. According to Wikipedia (see links there) World Magazine gave Father Botros the ‘Daniel of the Year’ award in 2008 and he has been named ‘Islam's public enemy No. 1’ by Arabic newspaper al Insan al Jadeed. Al-Qaeda has apparently put a $60 million bounty on his head. In an interview with Aljazeera TV, Islamic cleric Ahmad al-Qatani stated that some six million Muslims convert to Christianity annually, many of them persuaded by Botros's public ministry. According to Botros, his analysis of Islamic scriptures is designed to give Muslims a ‘short, sharp shock’, intended to make them ask questions and examine their faith. On 16 September 2012, the Los Angeles Times reported that Botros was an ideological influence on the film Innocence of Muslims, whose portrayal of the Prophet Muhammad set off protests and attacks on Western embassies across the Middle East. But Botros has denied this on his own website. 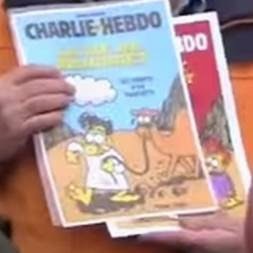 Regardless, as Jay points out, every story in Charbonnier’s comics is footnoted and sourced to Muslim tradition – that is, every one actually appears in Islam’s own sacred texts. In other words, Charbonnier was simply illustrating what the Hadith already teaches about the prophet. But the key point is this – most Muslims do not know their own religious texts well enough to know that. And perhaps if they did they would be asking the same questions as the six million per year allegedly influenced by Botros. So there it is. Take it or leave it (but if you doubt me look at the references below). I don’t imagine that many newspapers will be reproducing these comics and I certainly do not own copies myself. This week has seen two significant anniversaries that have revived memories of the Second World War, and in particular what Britain was spared from. First was the 50th anniversary of the death of the great wartime British Prime Minister Winston Churchill on 24 January 1965. Second was the 70th anniversary of the liberation of prisoners from the Auschwitz-Birkenau concentration camp – Holocaust Memorial day. 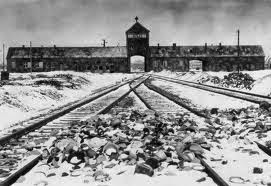 More than one million people, mostly Jews, died at the Nazi camp (pictured) before it was liberated by allied troops on 27th January 1945. 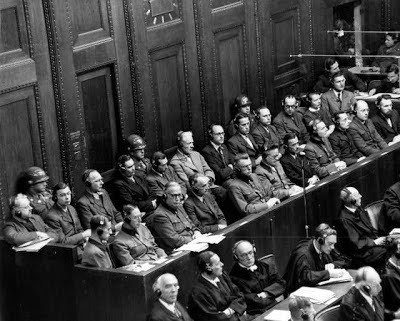 Earlier this week a Jewish figurehead sparked controversy by suggesting that new draft legislation seeking to decriminalize assisted suicide in Scotland is based on similar principles to racist Nazi laws that paved the way for the Holocaust. Ephraim Borowski, director of the Scottish Council of Jewish Communities, spoke out against Patrick Harvie’s Assisted Suicide Bill which is currently making its way through Holyrood in an evidence session with MSPs. Understandably his claims have elicited appeals to ‘Godwin’s law’ - an adage asserting that ‘As an online discussion grows longer, the probability of a comparison involving Nazis or Hitler approaches 1’. But rather than dismissing Borowski’s comparison out of hand critics should spend some time examining the historical evidence-base behind it because it is considerable. 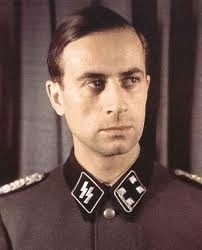 The horrific genocide of six million Jews was in fact only the final chapter in the Nazi holocaust story. 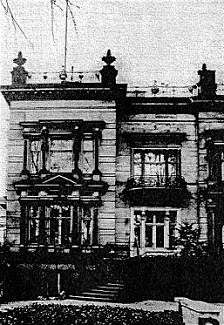 Adult euthanasia began in September 1939 when an organisation headed by Dr Karl Brandt and Philip Bouhler was set up at Tiergartenstrasse 4 (T4) (pictured left The aim was to create 70,000 beds for war casualties and ethnic German repatriates by mid-1941. The British Medical profession and the Holyrood parliament need to take note. The Government’s Counter-Terrorism and Security Bill, currently being considered by the House of Lords, places a duty on specified authorities, including universities, to ‘have due regard to the need to prevent people from being drawn into terrorism’. Who could possibly object to that, you might ask. But in a Britain where rising state intrusion and the steady march of political correctness make frightening bedfellows eternal vigilance is required to preserve basic freedoms. And there is real cause for concern here. 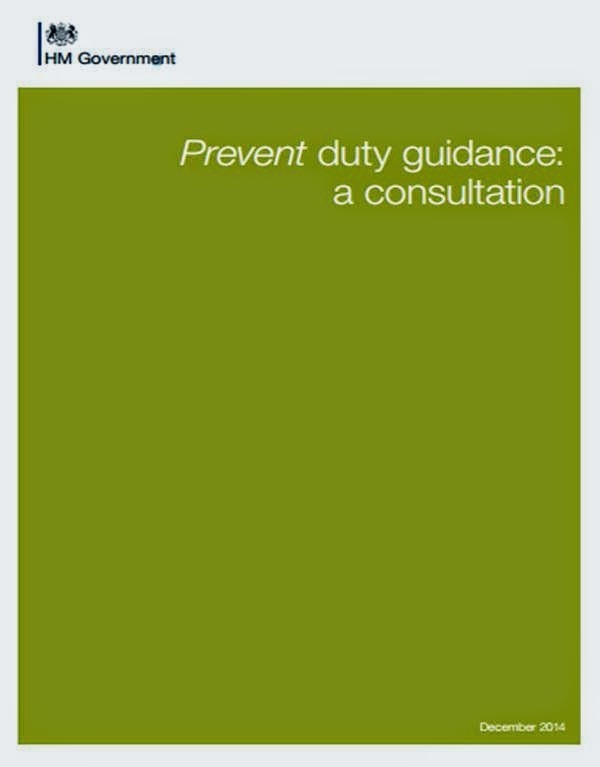 Official guidance out for consultation – which closes today - sets out the Government’s view that the promotion of ‘non-violent extremist views’ is a major way individuals are drawn into terrorism. But it defines extremism as ‘vocal or active opposition to fundamental British values, including democracy, the rule of law, individual liberty and mutual respect and tolerance of different faiths and beliefs’. The problem is that these very same terms have already been used in various contexts to restrict and stifle orthodox Christian beliefs and behaviours such as opposition to abortion, protection of marriage as a lifelong commitment between a man and a woman, prayer, wearing of religious symbols and the preaching of the Gospel . The fact is that some people regard such Christian beliefs and behaviours as offensive and intolerant. The guidance says universities should have policies in place for dealing with external speakers, such as ‘advance notice of the content of the event, including an outline of the topics to be discussed and sight of any presentations, footage to be broadcast etc’. It adds that Universities should also have at least 14 days’ notice of the event ‘to allow for checks to be made and cancellation to take place if necessary’. CMF has responded to the consultation today to express its concerns. Whilst we affirm the importance of free speech on campus, and recognise the potential risk of misuse of higher education institutions as platforms for drawing people into terrorism, we are also concerned that the guidance as currently drafted would have a chilling effect on free speech and freedom of association, wholly disproportionate to its impact on the prevention of terrorism. Of particular concern are the draft recommendations on ‘Speakers and Events’ (paragraphs 64-71). The draft rightly notes (paragraph 65) the duty of the university to ensure freedom of speech. However we see the provisions expected in paragraph 66 as being incompatible with ensuring freedom of speech. Fourteen days’ notice for booking a speaker for an event is impractical for a student society such as a Christian Union that may well have an external speaker visiting every week, and where last minute changes are sometimes necessary. A small group of Christian medical students might well arrange for a local doctor to join them for a meeting on campus to discuss an ethical issue at short notice. Such events would appear to be banned by this guidance. What about a long planned event where a speaker is unwell the day before, and a replacement is brought in? Submission of content for such an event would restrict the nature of events on campus. If a debate or discussion is held, it may be very difficult to know the exact content of such an event in advance. Is such debate to be stifled? Institutions of higher education will not want to see their students cloistered as a result of an overprotective bureaucracy, which places unreasonable demands on many perfectly legitimate outside speakers who will be effectively censored. This guidance will perhaps unintentionally lead to an increasingly narrow spectrum of views being represented and debated on campus. Without exposure to a broad range of views and healthy debate, how can students choose their worldview in the marketplace of ideas, fight extremism and prepare for life beyond study? ‘A system for assessing and rating risks’ for such events is likely to be bureaucratic in the extreme, and expose small student societies to large amounts of paperwork, simply to be able to have any external speaker at their event. We would urge that the specifics of these draft regulations be reconsidered. 2014, then, was the year when to sound concern and opposition once again became acceptable. The Prime Minister and Deputy Prime Minister; prominent figures in the arts and sport; major charities and disabled people's advocates - the list goes on. Lord Falconer's Bill to allow assisted suicide for terminally ill people was rejected both by MPs and - by a 2-1 margin - members of the Welsh Assembly, while the Supreme Court followed the High Court and Court of Appeal in refusing to agree that disabled people should be assisted to die. Most importantly, those who have real life experience of the often brutal reality of end of life situations spoke ever more clearly of their gladness that assisted suicide is not legal. We heard this especially from the many, many people who massed outside Parliament on the hottest day of the year that far to speak out against Lord Falconer's Bill, and we continue to receive, and welcome, support for our petition concerning the bill before the Scottish Parliament. We are all quite used to polls which appear to suggest high levels of public support for a change in the law with much effort going into suggesting that irreversible suffering at the end of life is the rule, not the exception. 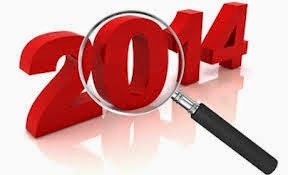 2014 saw that perceived wisdom more widely doubted. First, we saw a drop in the level of support for a change in Scottish law, back in January. Then, on the day of the Falconer Bill's second reading, a ComRes poll commissioned by a CNK member organisation found that support for the Assisted Dying Bill plummeted when the reality of legal change and what it would mean for terminally ill and disabled people, and for the practice of medicine. Perhaps the most dramatic expressions of changing public opinion were found in a further ComRes poll in November, forcing many to consider the context in which legalised assisted suicide would exist: more than four in 10 believe assisted suicide will be extended beyond the terminally ill if the current law is changed; a clear majority of the public says there is no safe system of assisted suicide; and fewer than three in 10 believe changing the law on assisted suicide will not lead to increase in abuse of vulnerable people. Flawed safeguards in the Falconer and MacDonald Bills caused legal experts to deem the draft legislation unsatisfactory even where they accepted principles to which the medical profession has remained overwhelmingly opposed. Key healthcare professionals' bodies were clear in their message to peers in July, and the Royal Colleges of General Practitioners and Physicians both conducted surveys of members, with the response being clearly in favour not only of continued opposition to a change in the law which would fundamentally alter the practice of medicine, but also in favour of continued collegiate opposition. Indeed, there has been a move against isolated but well-placed advocates of legal change who continue to demand that their views be accepted by the majority. This was particularly felt first at the BMA's ARM, and then later when the editorial team of the British Medical Journal sought to use the publication to advance the 'assisted dying' cause. Healthcare professionals are under no illusions: it is never 'just about the debate'. All the while, those who dedicate their lives to end of life care continue to drive forward innovation, as we saw at the Palliative Care Congress in Harrogate in the Spring, and with positive media portrayals and constantly renewed thinking about palliative care's potential, we can be optimistic about what we are able to do for terminally ill people. The reality of death and dying can never be far away in the debate on assisted suicide and end of life care, and 2014 saw the death of, among others, two people who were totally committed - to two very different points of view. Jim Dobbin MP, grandfather to two disabled grandchildren, was passionately opposed to the 'counsel of despair' inherent in all assisted suicide/euthanasia proposals, and his work in this area should continue to inspire parliamentarians. Independent MSP Margo MacDonald, meanwhile, the prime mover for assisted suicide in Scotland, died of natural causes in the Spring, with her bill being taken up by a Green colleague. The combined threats in Westminster and Holyrood of the Falconer and MacDonald Bills continue to stalk end of life care, and will loom large in 2015. Consideration of the Falconer Bill in committee will resume in January; have you read the guides circulated by CNK among members of the House of Lords? Oral evidence will shortly be taken in relation to the Assisted Suicide (Scotland) Bill, and CNK will be among the contributors. Have you read our earlier, written submission? The appallingly high (and growing) numbers of assisted suicide and euthanasia deaths abroad keep coming, with significant former supporters of euthanasia in the Netherlands joining the chorus of concern over the path the country is taking. The effect of a recent change to prosecution guidelines in England and Wales, highlighted at the time by CNK, remains to be seen, but we will continue to monitor this closely. As a nation, we remain, quite simply, bad at talking about death. This is a debate often framed as being about 'choice', but patients and families are already able to empower themselves, provided that they are offered the right support, educate themselves - and discuss openly their hopes and fears. We are at our strongest when we are honest with others and when we are prepared to accept support from others just as we have ourselves supporters others. Is end of life care the elephant in the room for you? Begin the conversation today.